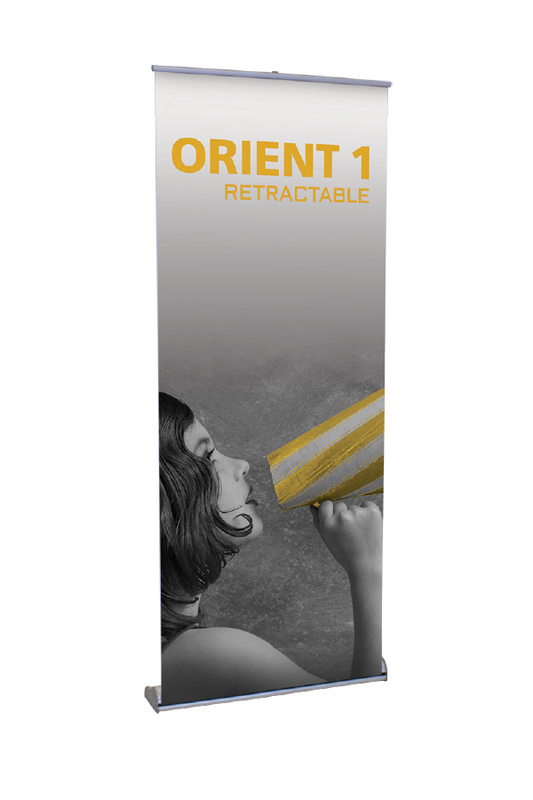 Our most durable indoor banner stand. Large enough to make an impact while still easy to carry. 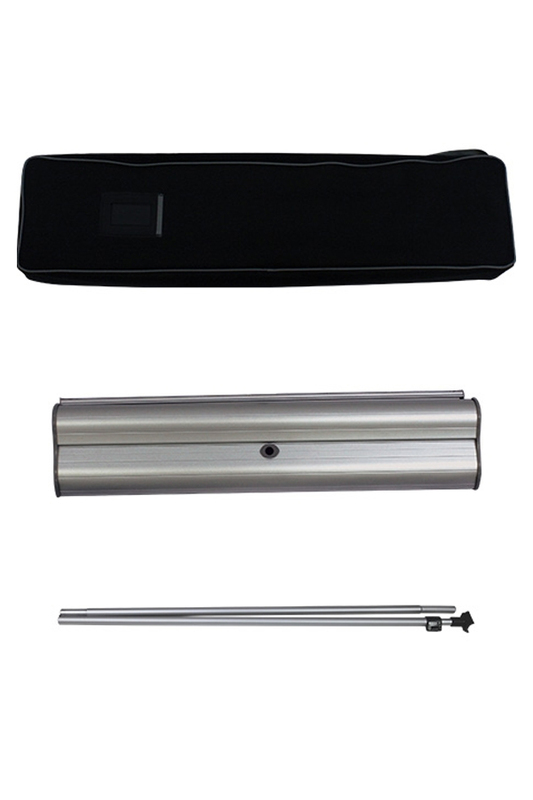 Includes aluminum stand, adjustable support pole, printed graphic and travel case.